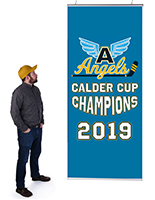 Metal Sign Supply Company Sells at Wholesale Prices! 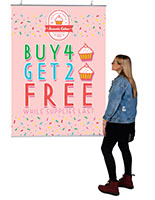 These Sign Supplies are Affordable Poster Frames! 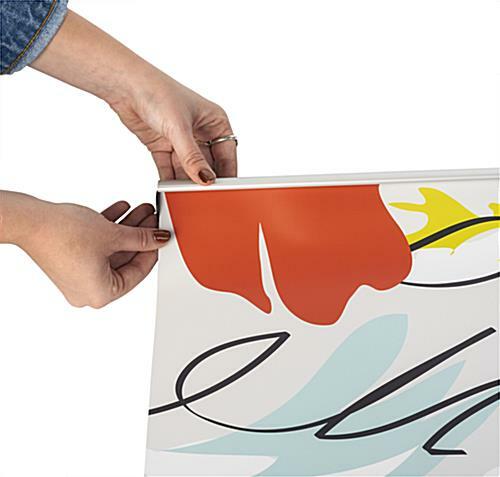 Sign Making Equipment Online Here! 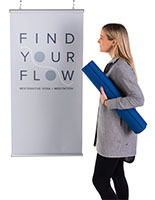 18" 22" 24" 27" 30" 36"
Our sign supplies, poster and vinyl banner frames, are highly effective advertising aids that provide vital information to customers or passersby. 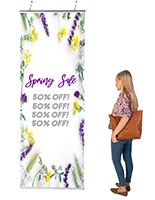 The hanging exhibit, vinyl banner rail, allows you to utilize ceiling space to create an eye-catching effect that attracts customers to your products or services. 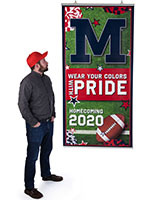 These sign supplies are sold in a variety of sizes. This sign supply, features a 48" rail. 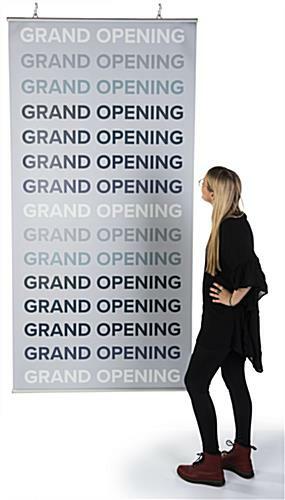 These sign supplies, like similar sign hangers and vinyl banner rails, hang larger sized graphics. While the width is set at 48", the length can vary as the top and bottom rails are separate units. 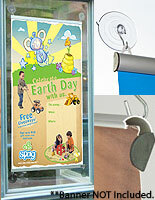 The satin-finished aluminum rails are rust proof and provide an attractive holder for your posters. 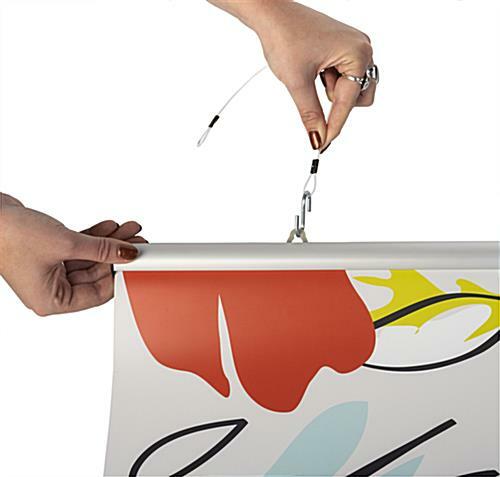 The easy to open/close snap rails make inserting and removing posters into these sign supplies something that can be done every day if needed. 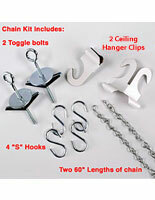 This sign supply includes the top snap rail with two eyelet clips onto which chain or rope is attached so the unit may be hung from the ceiling. The bottom rail looks much like the top rail, but without the clips. 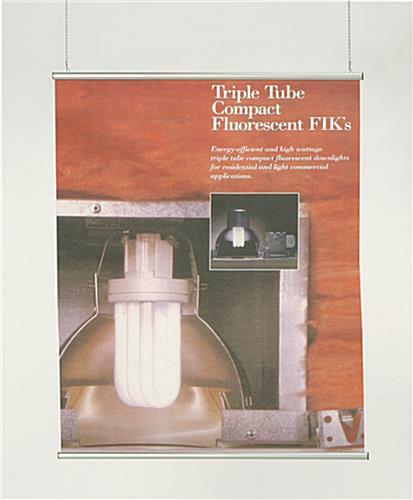 Use these affordable sign supplies at your company and add dimension to your showroom floor. Dimensions of each rail: 48" wide x 1" tall x 5/8" deep.